With rising energy costs and household budgets stretched, it may be tempting for some people to carry out repairs to central heating boilers themselves rather than call in an expert. The dangers of doing so were graphically displayed a few years when one man died trying to do just that. The 51 year old from Stanley Common near Ilkeston, Mr Stephen Newton, worked as a transport manager and rented a property with his partner Susan Davies. Both he and Miss Davies were overcome by carbon monoxide fumes as a result of trying to repair a condemned boiler. They were discovered by friends in December 2009 an inquest into the incident held earlier this month heard. Miss Davies survived thanks to the timely action of paramedics but Mr Newton sadly didn’t. Part of the tenancy agreement signed by the couple required the landlady, Dr Victoria Martindale, to arrange an annual check on the boiler by a registered gas fitter. The coroner, Dr Robert Hunter, also said that she should have issued an annual gas safety notice. However Miss Davies told the inquest that she did not believe Dr Martindale had done either. The boiler had been decommissioned and condemned by a gas fitter in May 2008 leaving the property devoid of heating for over a year. Mr Newton finally told Dr Martindale that he’d had the boiler fixed, but in December 2009 both he and Miss Davies were struck down by carbon monoxide fumes. Miss Davies told the inquest that all she could remember was going into the kitchen and suddenly dropping on to the floor. Miss Davies was asked if she was aware that as part of the tenancy agreement Dr Martindale was required to arrange for an annual gas check on the central heating. Miss Davies replied that she was aware, as she had rented properties before and that this was actually in the back of her mind at the time. “People said ‘you should have had an inspection’, but you don’t think about that at the time” Miss Davies said before telling the inquest that she could not recall ever having an annual safety notice for any of the time the couple lived in the terraced house. When Mr Newton told her he’d had the boiler fixed, she didn’t ask him who had carried out the work, she was just glad that it had been repaired. Miss Davies remained at the Royal Derby Hospital for three days following the incident before being released having made a full recovery. The website ‘The Honest Plumber’ makes the observation that on average there are about 5.3 million Google searches on the phrase ‘DIY Boiler Service’ and that actually this is about the same as searches for ‘DIY gas explosion’, the point being that trying to fix or even clean a boiler yourself rather than calling out an expert is a very bad idea. 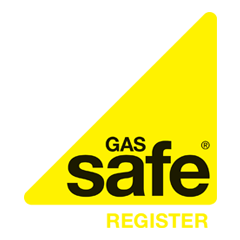 Unless you are Gas Safe registered, any work you choose to do on a boiler would not only be dangerous but also highly illegal. It would also compromise warranties and invalidate insurance. So it is always best to spend a bit of money and call out an expert.